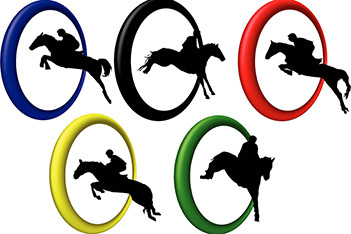 I learned something about the rules of the equestrian event while watching the recent Summer Olympics. Sometimes a horse will refuse to make a jump. He will come up to the rail and stop. This does not disqualify the horse. He and the rider can regroup, make the jump and continue the run. However, a second refusal will result in disqualification. Isn’t it great to know that God gives us more than one opportunity to get it right? We sometimes call him a God of second chances, but the truth is, we get multiple opportunities all the time to recover from our sins and shortcomings. If we fail to obey God at one point, he is not finished with us. We can regroup and do what he wants us to do. However, continual refusal to obey God will result in being disqualified for the prize. We can’t go on and on in a lifestyle of sinful disobedience. The Bible clearly and consistently warns us of this. “…But unless you repent, you too will all perish.”—Luke 13:5. This entry was posted in Christian Living, Communion Meditations, Sports and tagged equestrian event, failure, horse riding, illustration, obedience, repentance, second chances, Summer Olympics. Bookmark the permalink.